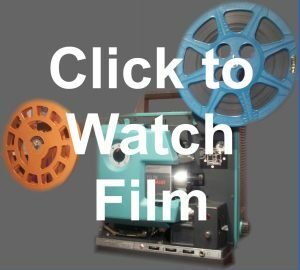 Image Films has a vast archive of Isle of Wight cine footage and over the years have released many DVDs containing some of this, all available to purchase on this site. But there are still reels and reels of unreleased clips in the vaults. So, we have decided to put a selection for viewing on VIMEO until such time they are available on DVD. The first of these clips is “Isle of Wight Point to Point”. On 3rd March 1930 the Isle of Wight Hunt held its annual Point-to-Point race meeting at Tapnell on the north side of Afton Down (a venue more famously known for the Isle of Wight Pop Festival). Some of this meeting has been captured on cine and shows Harold Biles winning the “Farmer’s Hunt Cup” on his horse ‘Edomite’. There were only three runners in the race, the others being ‘Jolly Friar’ and ‘Godshill Lass’. A big thank you must go to Sam Biles who has researched the details of this race and made it available to Image Films.